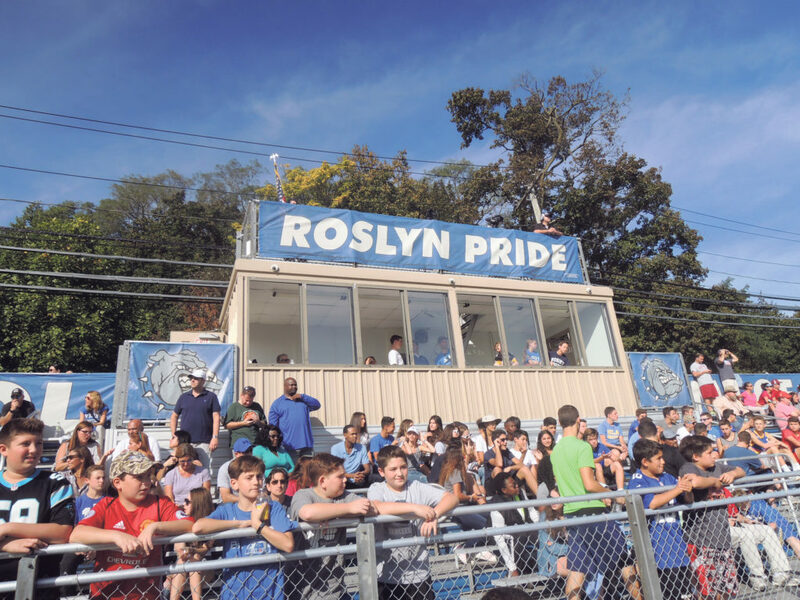 “Roslyn Pride” read the banner below the press box at the high school football field last Saturday. And that certainly was the case all weekend long as Roslyn High School celebrated its annual Homecoming with a parade, a performance by the marching band and athletic events galore. The weekend kicked off with a winning performance by the Roslyn High School girls’ volleyball team, as they topped Glen Cove 3-1 to improve on their winning record for the year. It ended with the boys’ varsity team losing to Glen Cove in front of a capacity crowd that gave the Bulldogs everything they had. On the field, the seniors, led by Prince Butler, Alex Epprecht and Nekoda Schneider, gave Glen Cove all they could handle in the opening two frames, before falling behind in the second half. 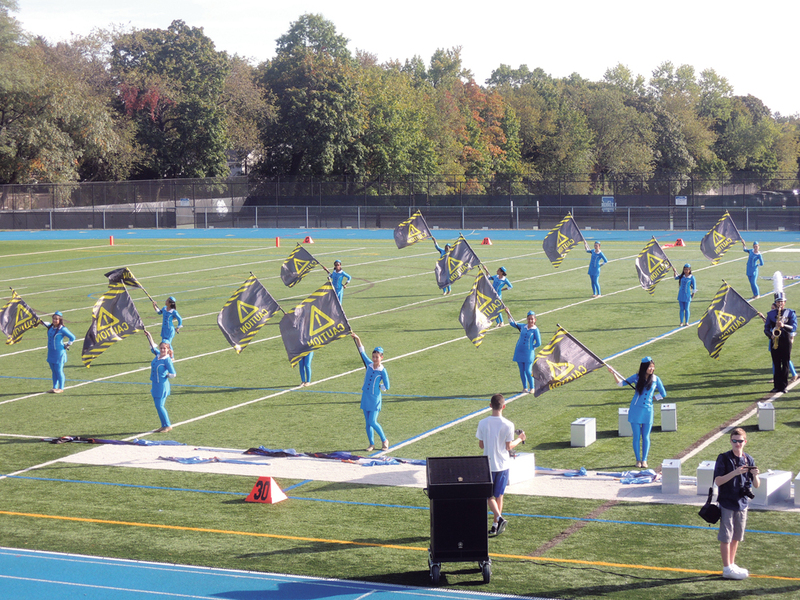 As always, a highlight of the weekend was the performance by the award-winning Roslyn High School Marching Band. The band performed in both the parade and at halftime of the football game. This year’s theme was “Above The Clouds,” a dramatization of an airline flight with the color guards providing plenty of energy. Also providing energy was a stellar performance by the Roslyn High School cheerleading squad. The game ended a tough year for the Bulldogs as they finished their first year without Adam Combs at the helm as quarterback. However, junior quarterback Naz Jackson engineered several fine offensive drives for the Bulldogs. Jackson is a junior and next year, he should be ready to lead the Bulldogs as one of the top quarterbacks in the conference. 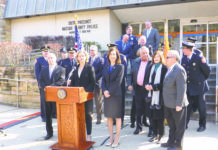 In the Saturday game, Roslyn played Glen Cove tough in the first quarter, stopping several drives by the visiting squad. As the second quarter began to wind down, Jackson engineered an impressive drive that took Roslyn to their own goal line. Key plays were a big third down pass to Prince Butler by Jackson and a fourth down carry for a first down by Butler that put the Bulldogs inside Glen Cove’s 10-yard line. But the drive stalled and with it, the game’s momentum. Glen Cove scored on two second-half possession to take a 10-0 lead into halftime. In the second half, Roslyn got on the board when Butler capped off an excellent career with a five-run yard, complimented by a two-point run by Jackson. In addition to Butler, other seniors playing their final game for the Bulldogs included Nekoda Schneider, Nathaniel Epprecht, Joseph Oh, Jake Steffen, Joey Rosano, Alex Vazouras and Cris Tepedino. 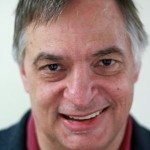 Epprecht also ended his career on the Roslyn gridiron in memorable fashion with a second-quarter interception and several bone-jarring tackles. Schneider, too, got in a few solid licks for fans to remember him by. The weekend, as noted, started on a winning note for Roslyn athletics. The high-flying girls’ volleyball team defeated Glen Cove, 3-1, to up their record for the year at 6-5. Danielle Blattman and Taylor Gardner paced the Lady Bulldogs. Blattman had 14 kills and three blocks. Gardner added eight kills and three blocks. In an Oct. 10, 3-1 win over Jericho, Blattman again led the offense with nine kills overall. Jericho is Roslyn’s traditional rival in sports and it would be nice if the conferences were rearranged so that the football squad could play Jericho on both the gridiron and the hardwood. 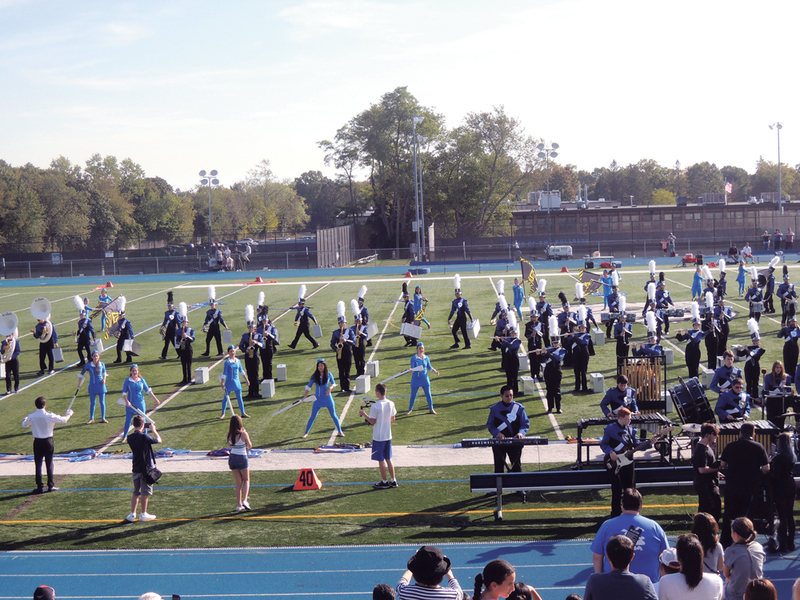 Homecoming, above all, is a day for the Roslyn community to thank all the seniors, whether they play sports, perform in the band or root on the team as cheerleaders for their school spirit and dedication. The packed house was testimony that such appreciation is heartfelt.